Social Media – WHO IS ANDREA KITAY? In social media, it’s all about who you know and how you interact with them. Social media presence is no longer optional. To stay competitive, businesses need to engage with customers through various social platforms. Social media marketing involves content that is fresh and engaging, and fosters the connection between brand and customer. Good content will keep people interested in a brand and craving more – more information – and buying more. Take a look at some social media strategies created to raise brand awareness by leveraging the power of social networks. ICM offers a full range of digital marketing solutions, including search engine optimization, pay-per-click management, video production and website development. Trust Child Care Centre is a family-owned and operated daycare centre located in central Toronto. On a daily basis, I update their Facebook page with interesting and relevant content. 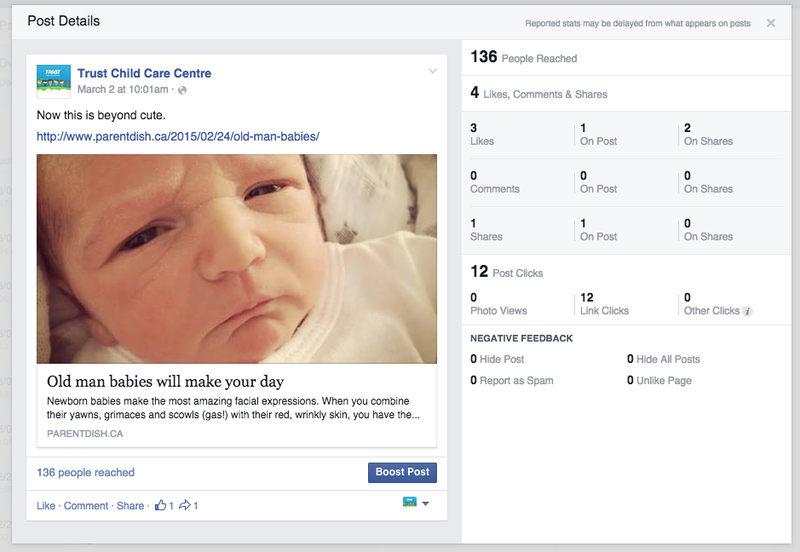 With no budget to boost posts or create ads, all posts are organic and aimed at engaging the Trust Child Care community with content that is interesting. The Facebook page is a hub of information, and posts range from memes, to videos and articles. 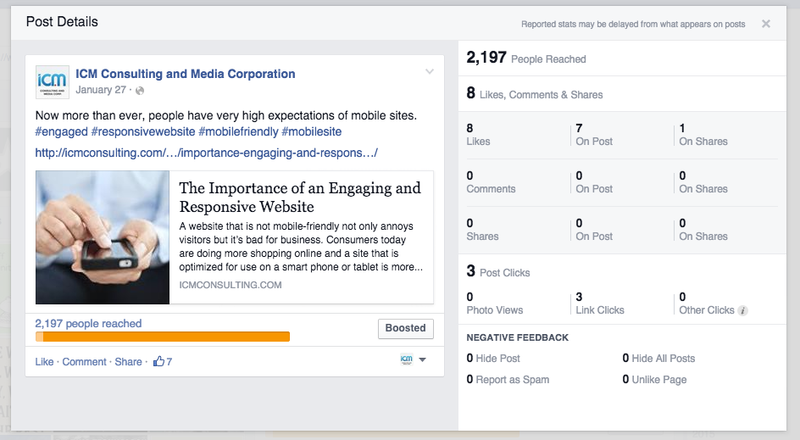 On average, the Facebook page gets about one new like/day. Since January 9, 2015, the weekly total reach has increased 54%. Conspire2Inspire was a young professionals event in support of Chai Lifeline, a not for profit charity that helps children suffering from serious illness, and their families. The event was the first of it’s kind in service of a charity that was relatively unknown to the 22 to 35-year old market. The social media posts were designed to engaged the young professional community and promote ticket sales. The event ultimately drew over 300 people and raised $30,000 for Chai Lifeline. 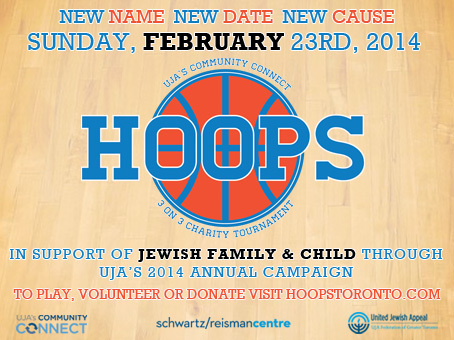 As Marketing and Social Media Chair for the 2014 HOOPS tournament, I led all the promotional efforts for the tournament. Since 2007, HOOPS has inspired others with its success; to date, the young adult initiative has raised over $500,000 to support essential programming, while engaging hundreds of young adults in meaningful volunteer work.